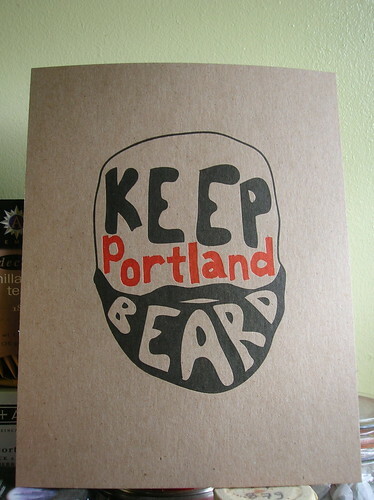 So, last night’s show could have been presented by “Keep Portland Beard.” Every member of both bands sported beards (which, to be fair, had some dual members). 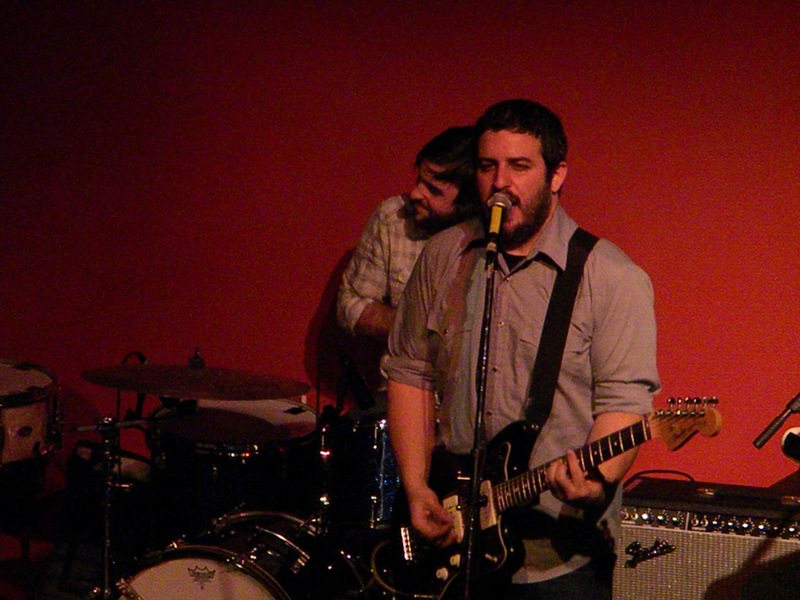 I think beards and indie rock are like eye shadow and goth. Except at least the women of indie rock don’t have beards (not that I know of at least). I drove by the venue around “doors” time… and the line was part way down the block. Yikes. As I parked my car and walked to the venue, I spotted David Bazan and some of his posse hanging out by the nearby burrito cart. He was on his mobile; so I opted not to bug him. After a delicious hummus plate washed down by a McTarnahan’s Amber, SAY HI started… I found my seat at the awesomely cozy Mississippi Studios. 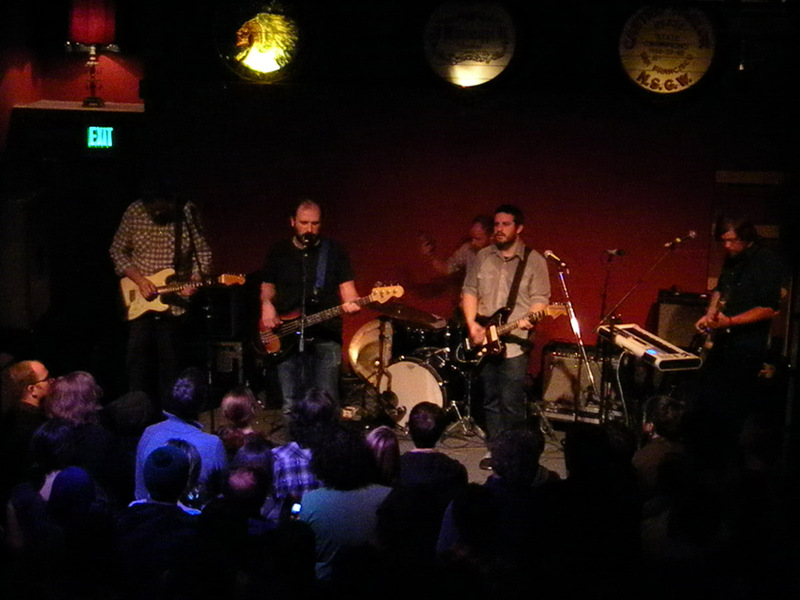 Say Hi is a trio, and they played what I’d call “power pop indie rock.” I mean, that’s my best explanation… very catchy, hooky – yet retaining that gristle and DIY charm of a touring group of guys. While Say Hi didn’t have the one-two writing & vocal punch of Neil Gust & Elliott Smith’s Heatmiser, I think Heatmiser is my closest comparison to Say Hi. Great pop songs in a rock setting, definitely enjoyable. They played about 40 minutes and, unfortunately, it flew by. But… they’re from Seattle; so they’re totally on my “auto notify” Pollstar radar now. 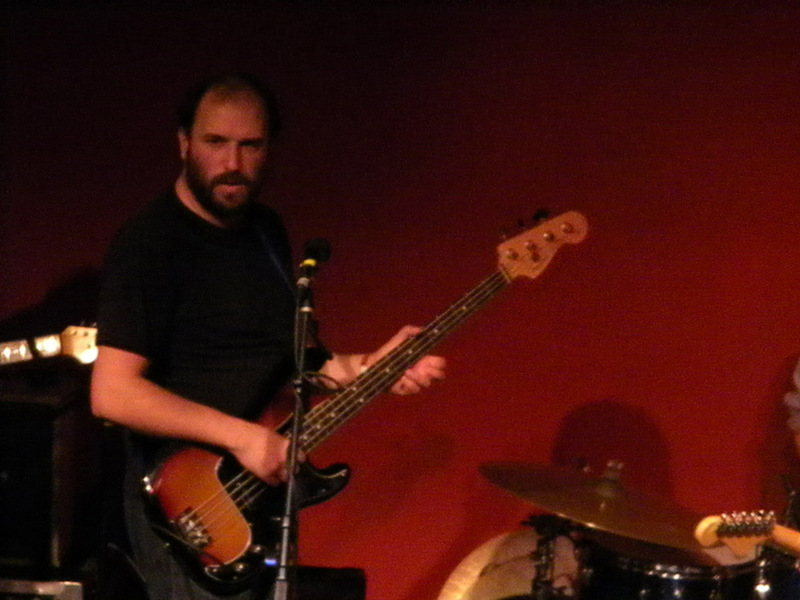 The first time I saw David Bazan (December 2003 with Over the Rhine) was the only time I’ve seen him with a “band.” Even that time, it was a stripped down Pedro the Lion set with just David and T.W. Walsh (drummer). 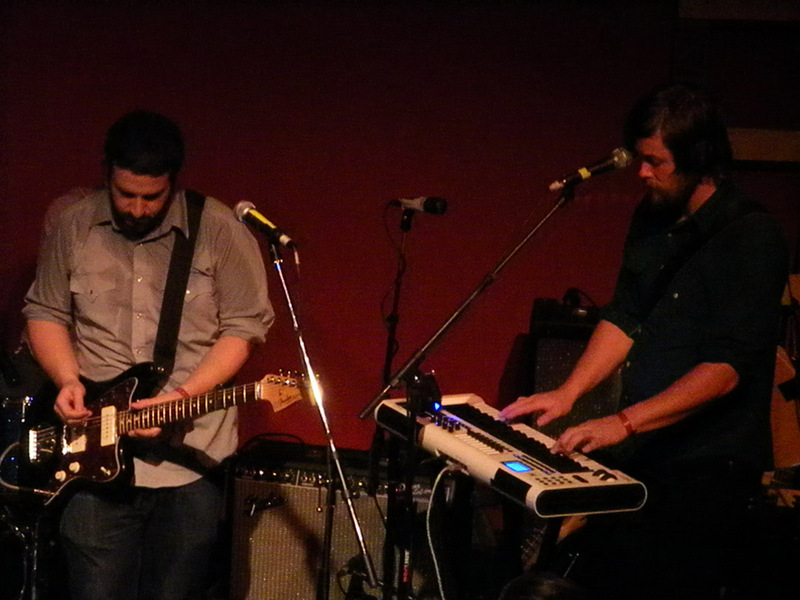 The singer of Say Hi joined David on guitar, the Say Hi bassist traded bass duties for guitar / keyboards / percussion. 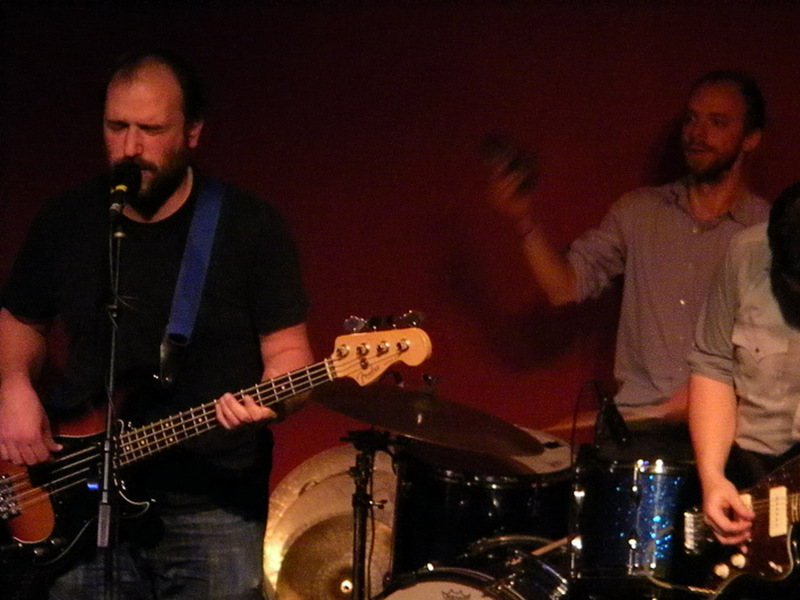 Blake Wescott joined on guitar, there was a new drummer, and David took care of bass (and guitar during the encore). I loved David with a band. I think the highlight of the night for me, though, was Say Hi. I usually don’t expect to like an opener, and I like being pleasantly surprised. I didn’t have enough coin to get some Say Hi music last night, but I plan to in the near future. Another highlight… David’s Q&A sessions are also usually a fun aspect of his shows – it really makes a Bazan show more personal and intimate. Most of the questions surrounded his recent “coming out” as an atheist-leaning agnostic after many years in the Christian indie rock scene. I always loved his candor and questioning of things in religion, even when he considered himself to be a Christian and I had moved out of that camp. I, honestly, don’t think his lyrical themes changed all that much. His Q&A answers last night were more along the lines around around tolerance, regardless of religious beliefs or non-beliefs. Personally, I’m glad to have him in the more doubtful camp. However, above that, I’m glad that he’s not trying to be divisive with things like faith and his “falling from faith.” We should move towards being different than the prior generations who don’t know tolerance.